Tucked into The Western Coast of India, and adorned with the 300-year-old sublime Portugal Architecture, Goa is without any second thought the ultimate location in India to host your much-awaited heavenly destination wedding! The state is a bliss for couples looking forward to hosting a beach wedding in Goa, or a tropical garden to tie the knot. Sprawling across 85 acres along the shimmering coast line of Goa, is The Lalit Golf & Spa Resort, Goa. Defining luxury in the exotic coastal state, the resort offers a scintillating private beach, beautifully landscaped gardens and an abundance of relaxation and rejuvenation facilities including a nine links golf course, a revivifying spa and a private luxury yacht. 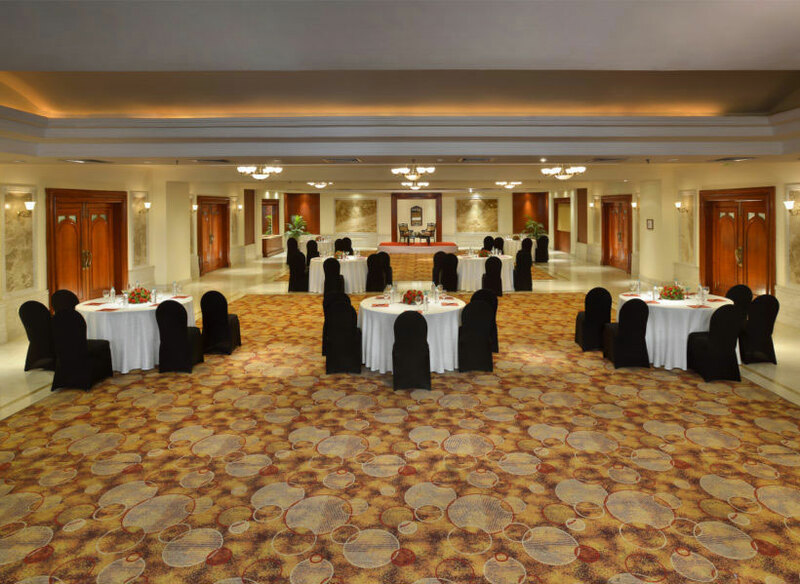 The resort offers 14,000 sq ft of indoor venues besides exotic outdoor settings like an exclusive beachfront, poolside garden, and extensive lawns to choose from. ACCOMMODATION: The Lalit Golf & Spa Resort offers a total of 225 plush suites equipped with all novel amenities with 15,000 - 19,000 INR per night. FOOD: Food at the venue is a myriad of flavours associated with amazing delicacy offered by the chefs. So, if you're interested to host a destination wedding in Goa, make sure you're under the umbrella of the best wedding planners in Goa who could make your D-day perpetual in your memory and also fit your dream land into your budget basket. Apart from the above-mentioned details, there are various other extravaganzas which add up to your final Shaadi-Budget. 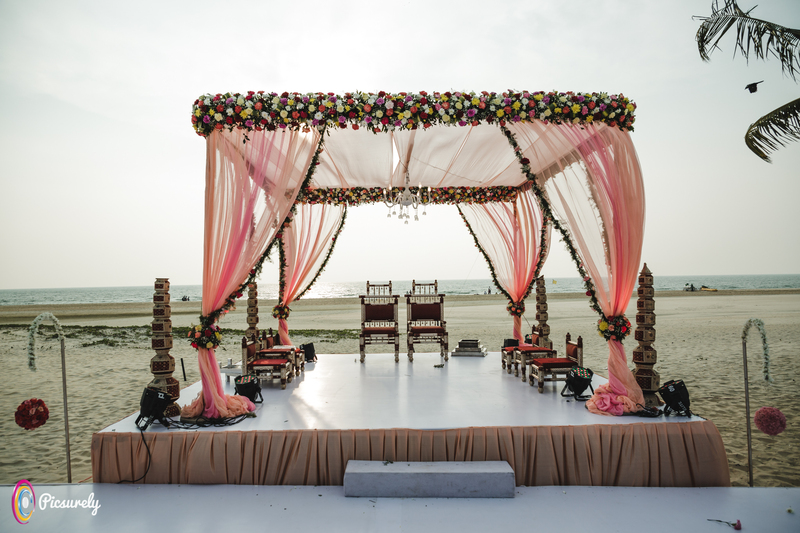 Mandap: With the stellar backdrop of dazzling golden beaches, opting for a minimal mandap is a suitable idea. Tables & Chairs: Have a correct count of your guests in order to ensure comfortable seating for all. Aisle: Walking upon the aisle set up on the glowing beach looks like a direct cut-out from a movie scene. Centerpieces: Add an extra wing to your decor game by positioning eye catching centerpieces. Stage: Here’s where all the limelight is going to fall, make sure set up an appealing stage according to your venue. Dance Floor: You know Goa is all about relaxing and enjoying, a dance floor goes into the essentials without any qualms. Lightning: Milder hues in lightning add to the romantic quotient of the venue as well as elevate the aura. LEDs: Ornate your holistic venue with an array of well designed LEDs. Floral Decor: From lilies to orchids, flowers beautify literally everything from everything. You definitely need a professional photographer with some swift hands on the lens to capture your most awaited Beach Wedding In Goa! In order to avail the best, we suggest you to pre- book your lens crew! The venue allows the use of speakers and microphones until late hours. A soulful performance by the local group displaying the rich Portuguese culture gives a new dimension to the event as well as becomes an important highlight of your event.